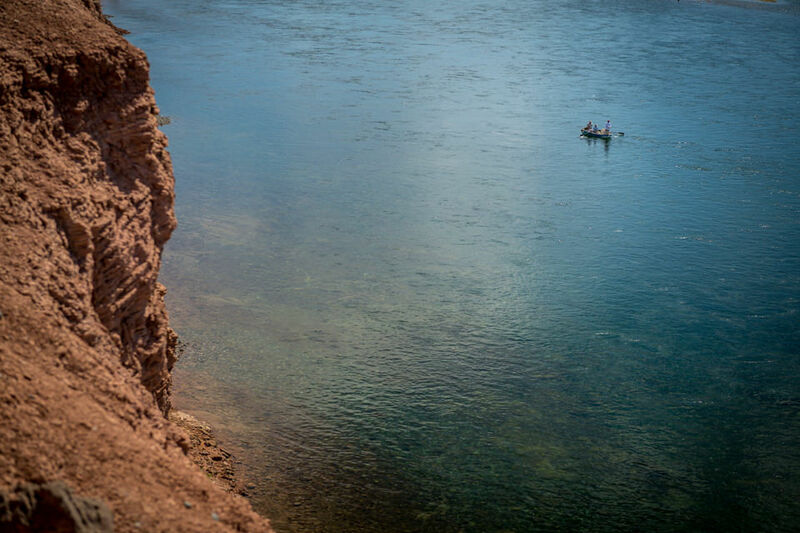 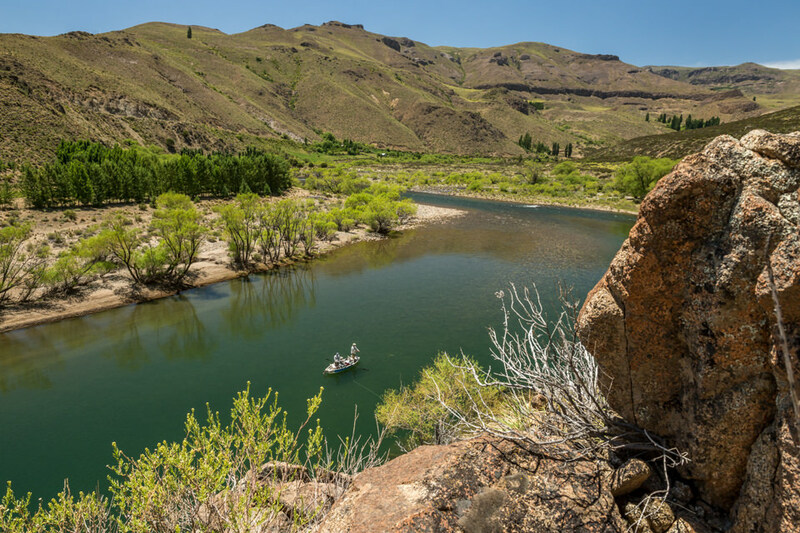 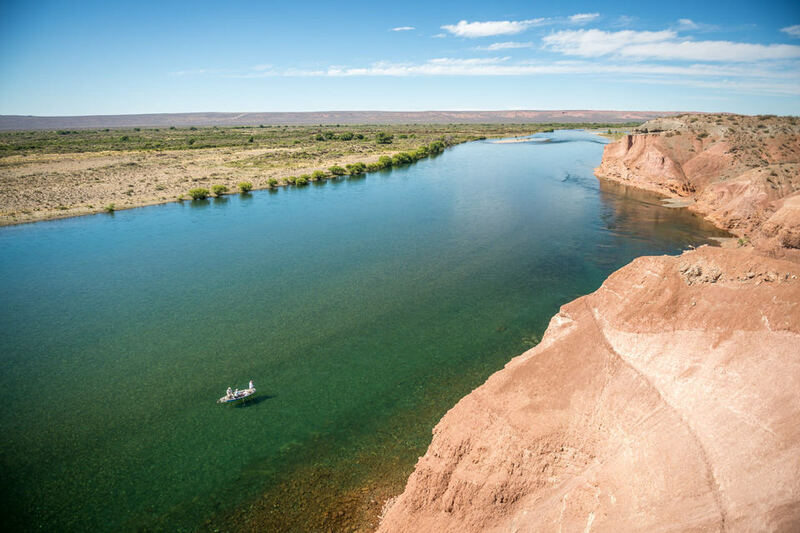 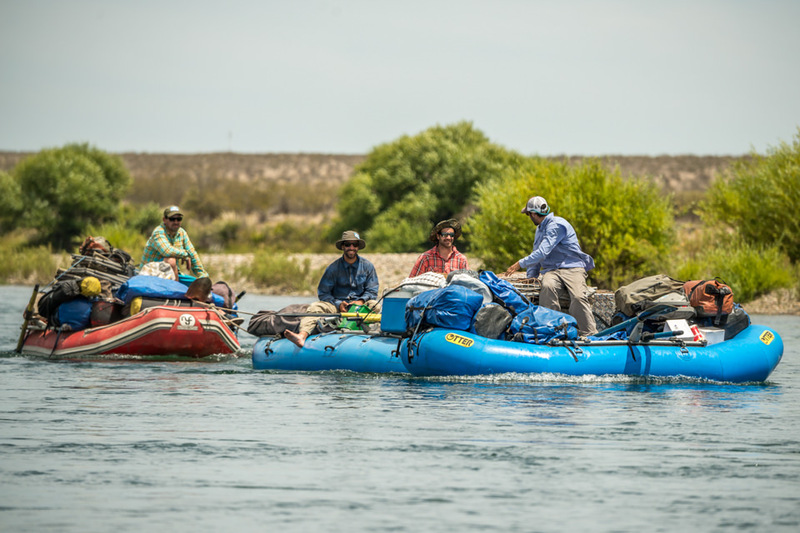 PRG North offers exceptional overnight camping trips on area rivers such as the Chimehuín, Limay and Aluminé. 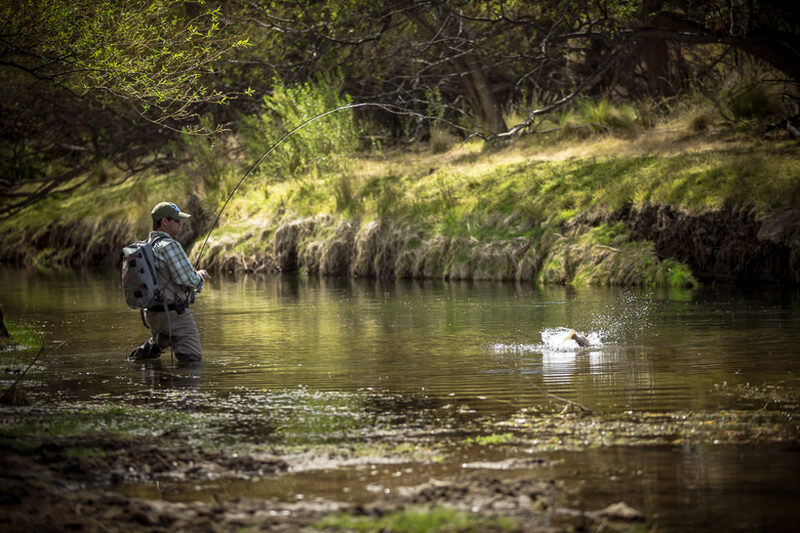 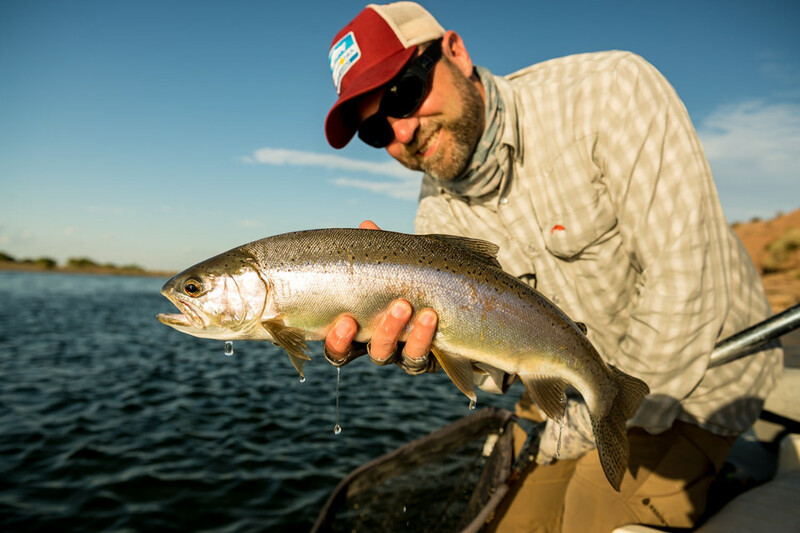 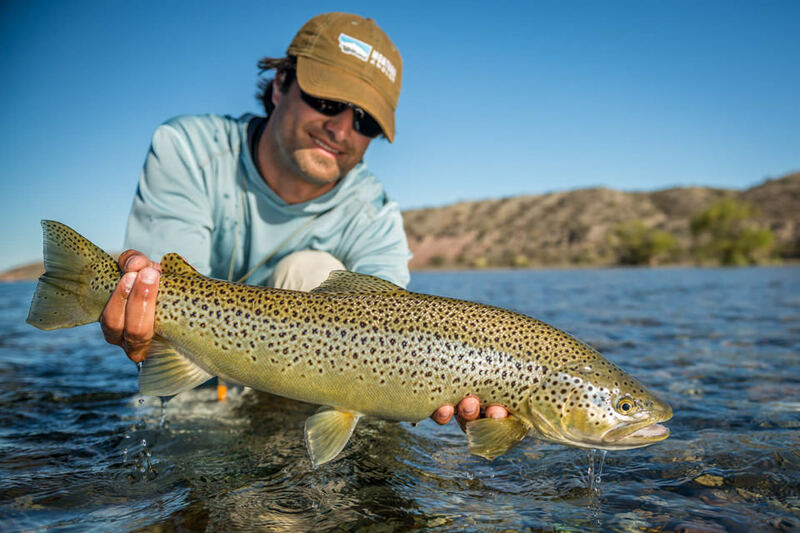 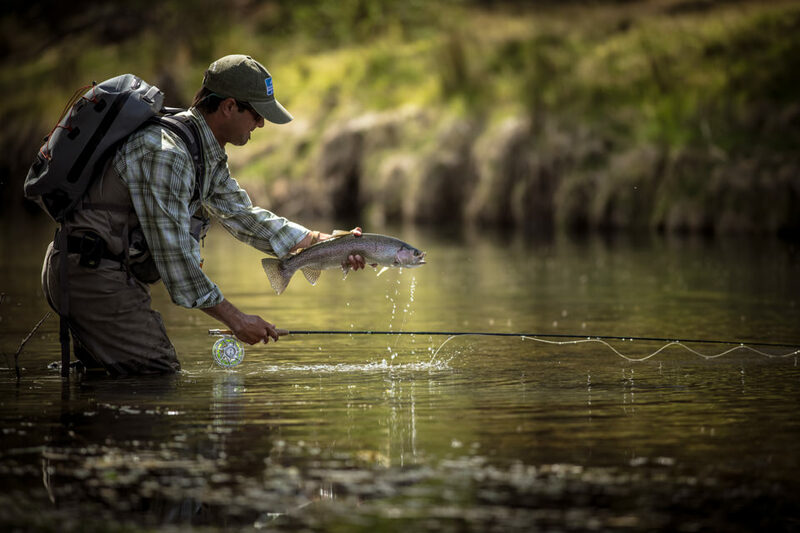 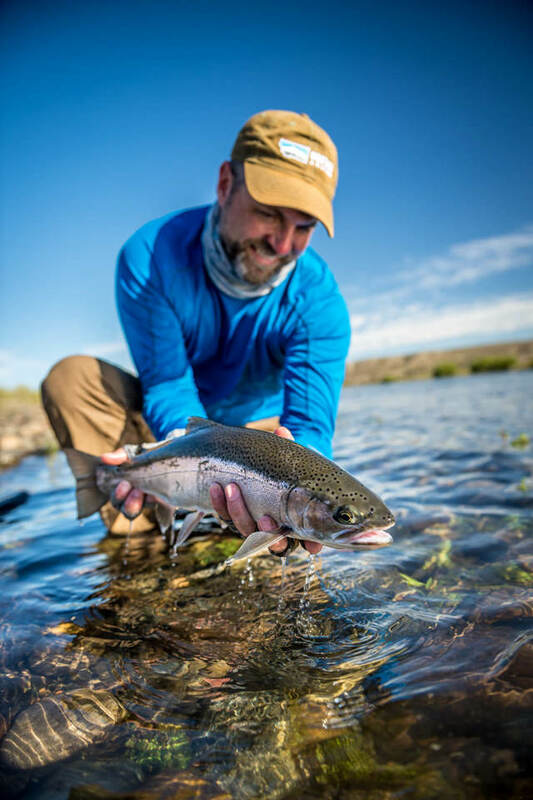 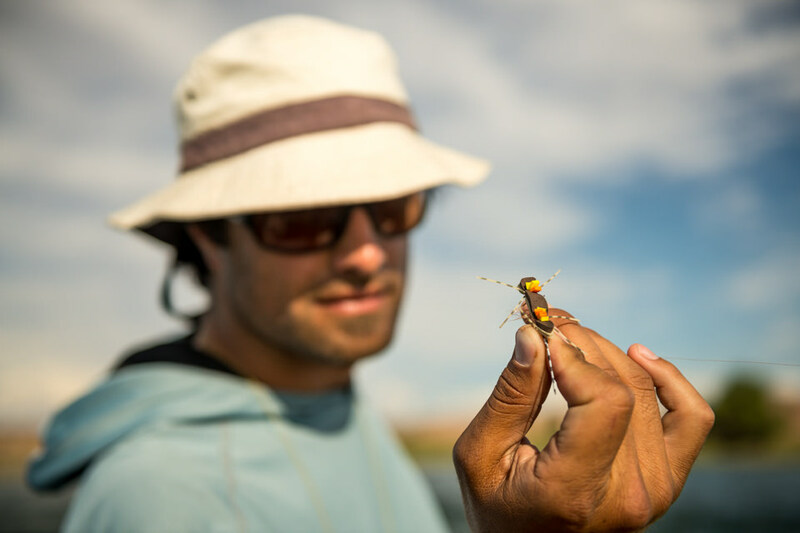 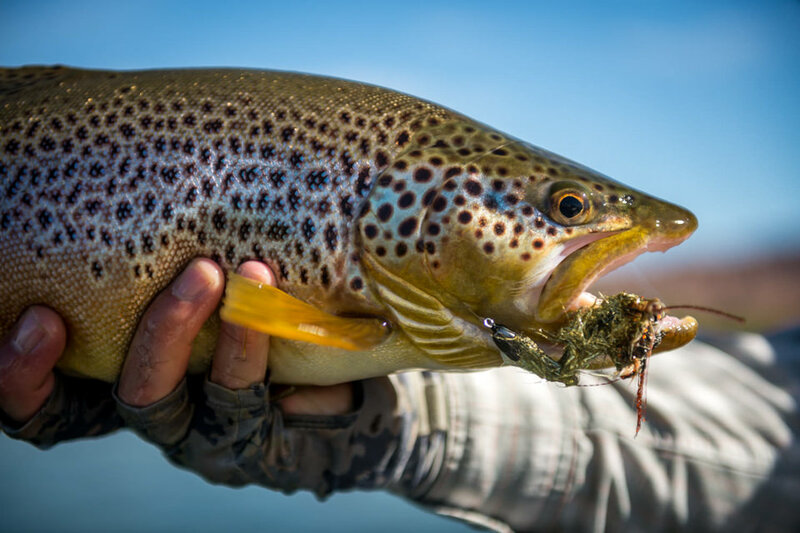 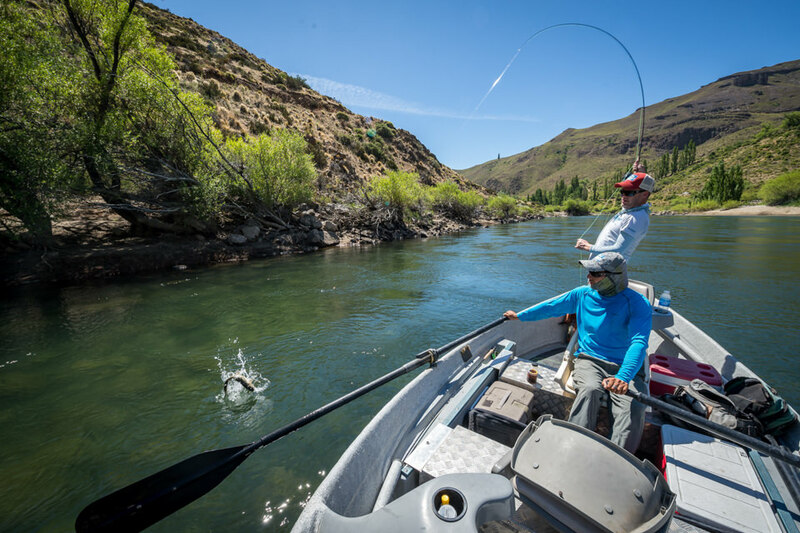 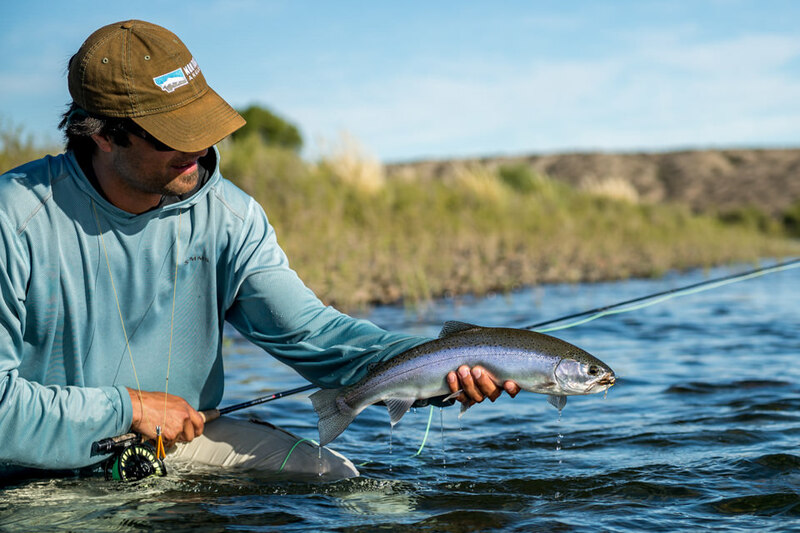 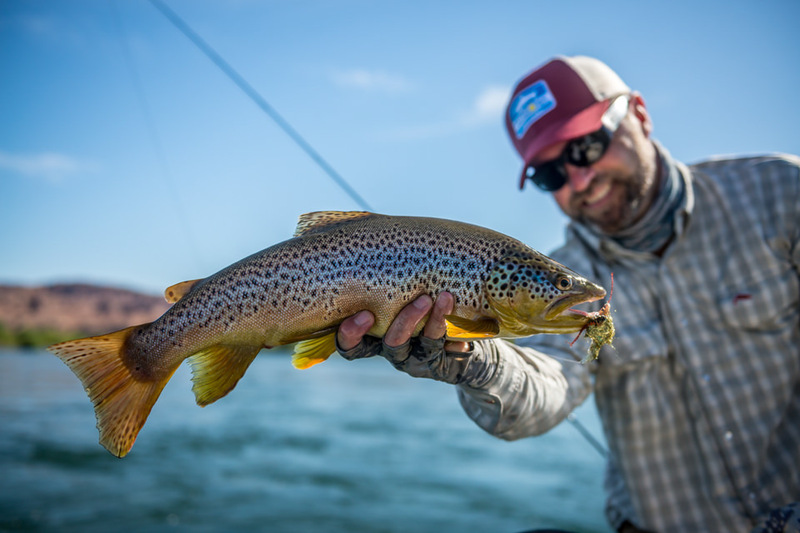 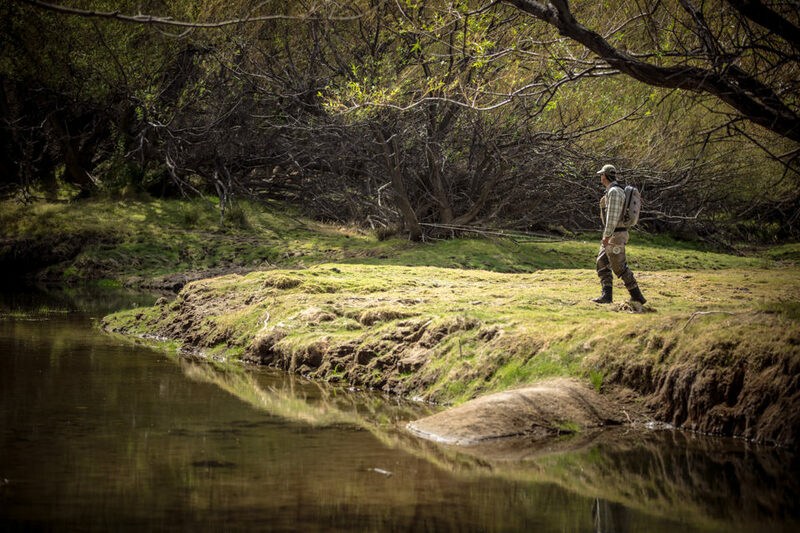 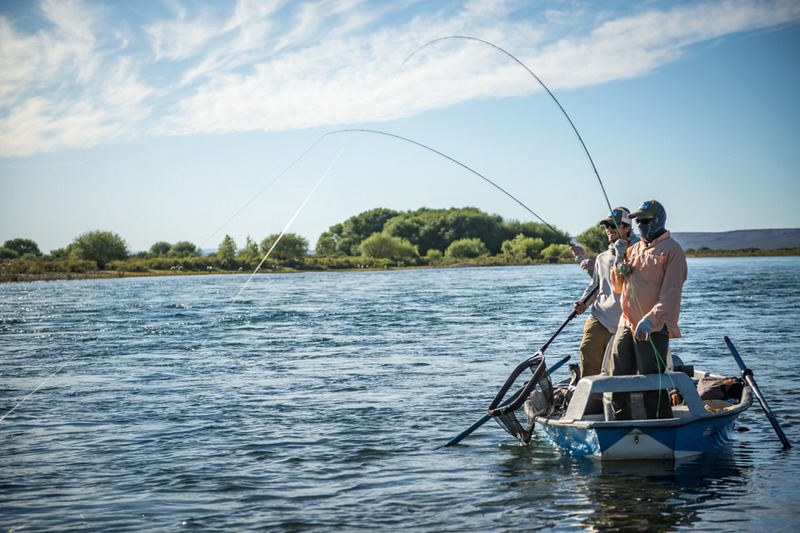 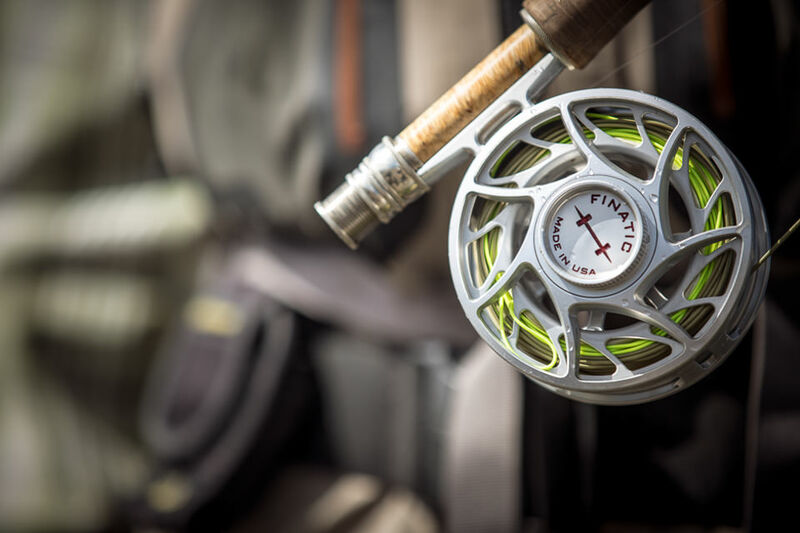 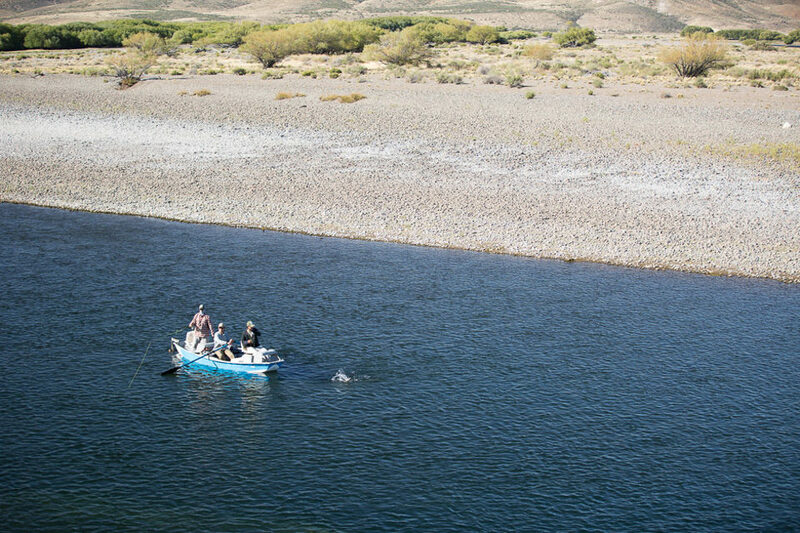 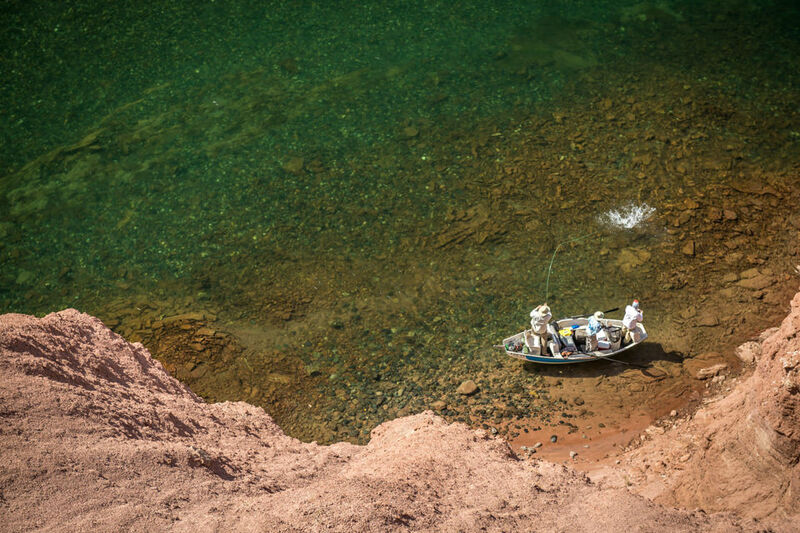 Guests enjoy long days – set to their schedule – and incredible fishing on remote area rivers. 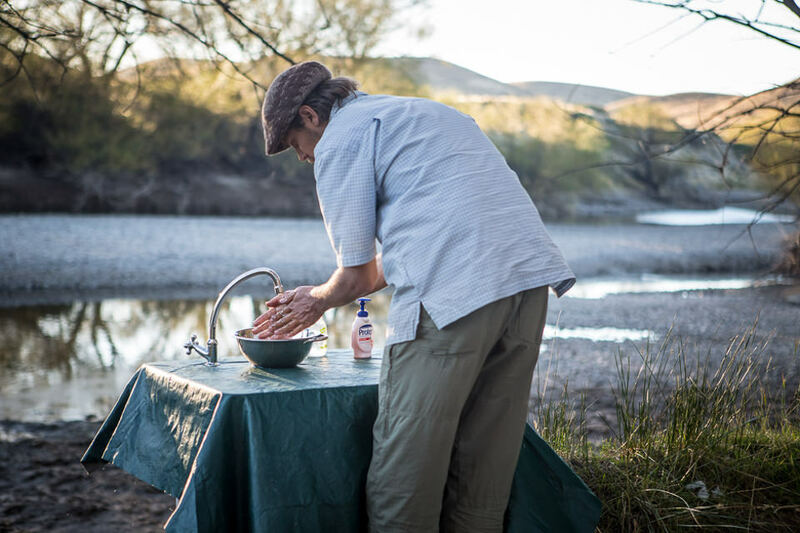 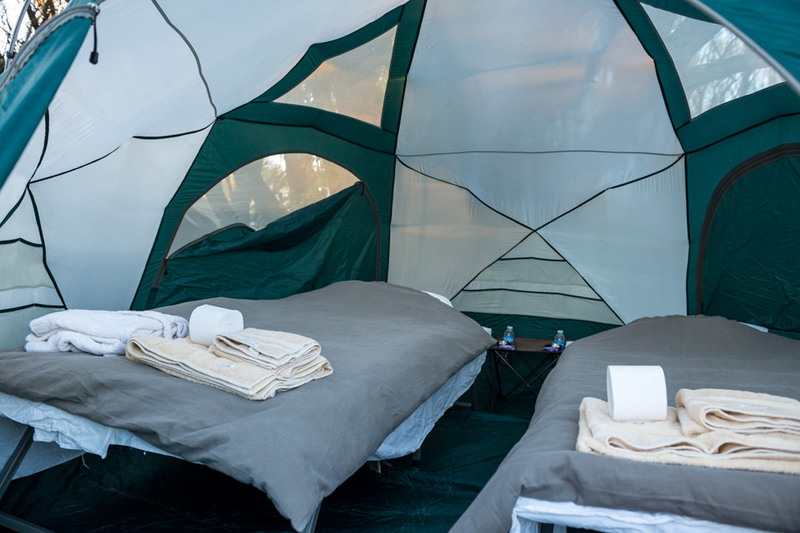 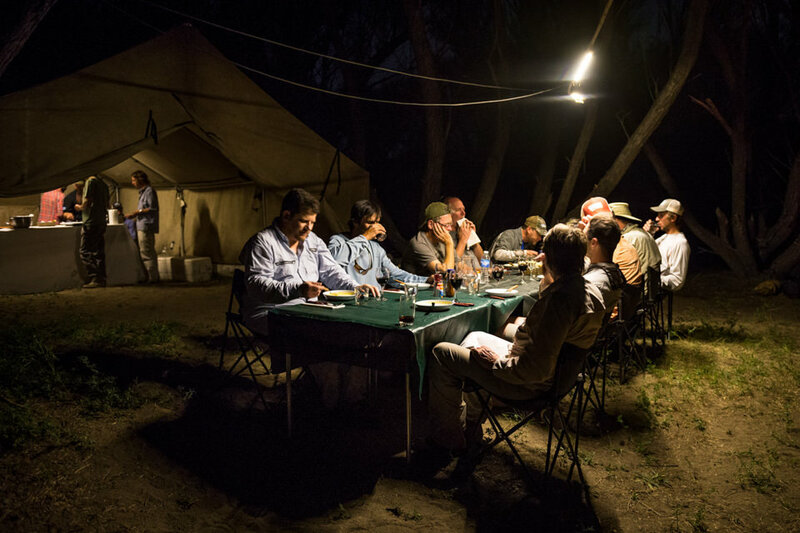 In addition to oversize cots and tents, our camps come with a professional chef to prepare delicious meals, hot pressurized water for showers, bathroom facilities, unique 12-volt lighting system, wall tent for dining, and hundreds of thousands of acres of wilderness. 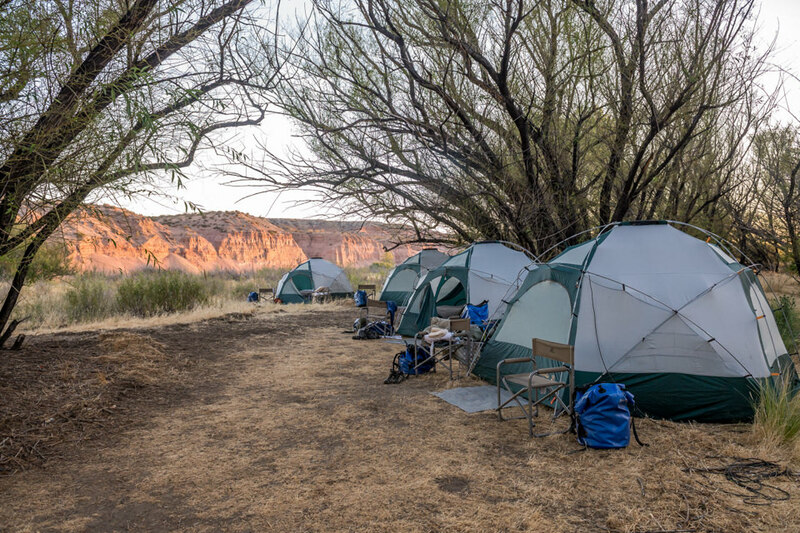 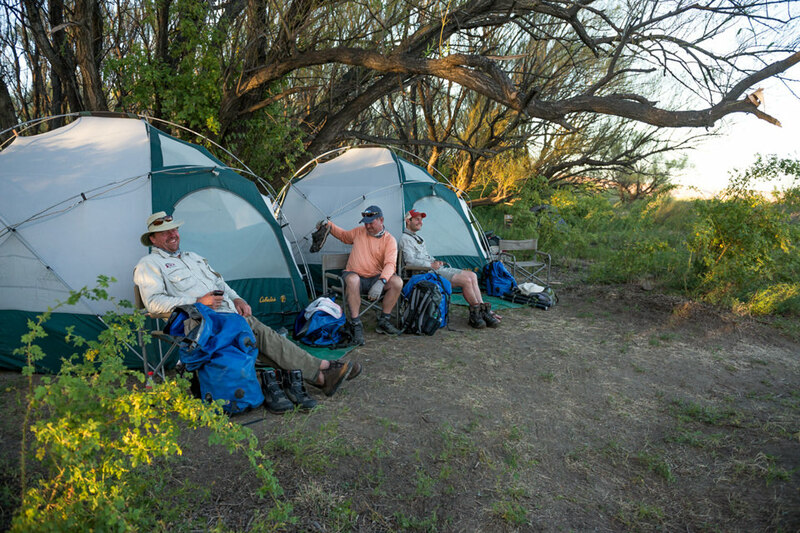 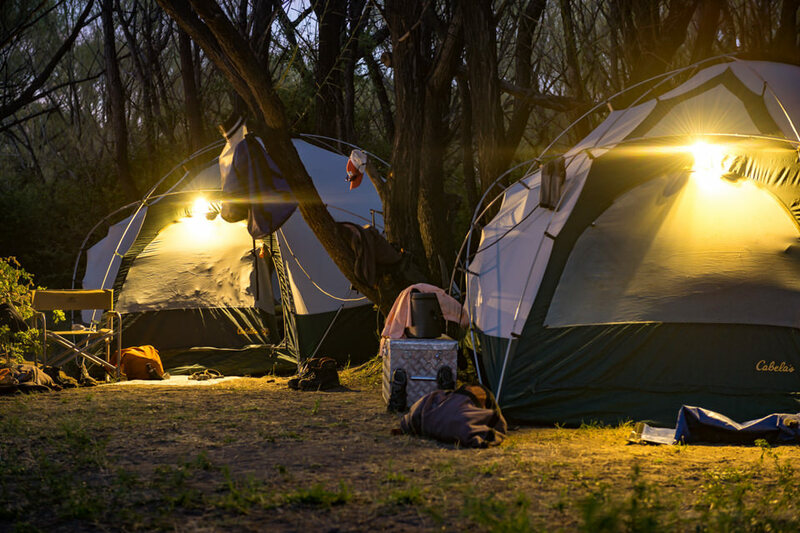 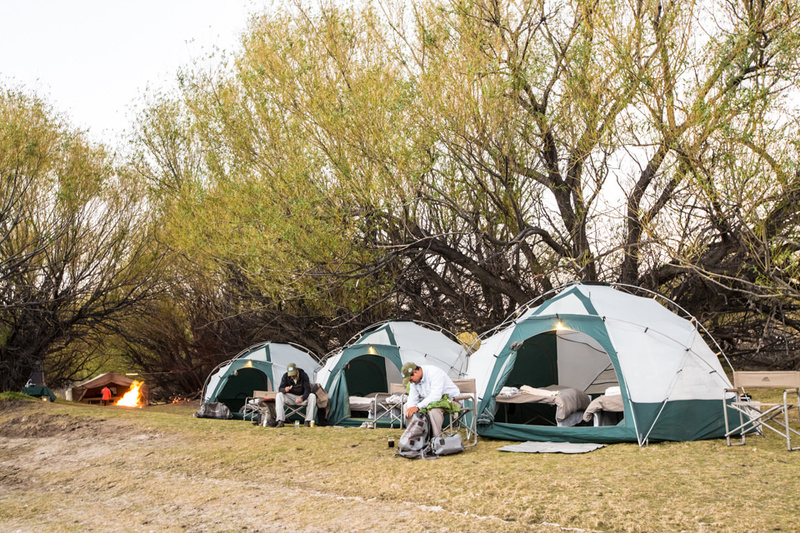 Camping is the highlight of most trips, and for those who like to fish a few more hours or skip the chit chat at the lodges, this is the perfect opportunity to be away from it all. 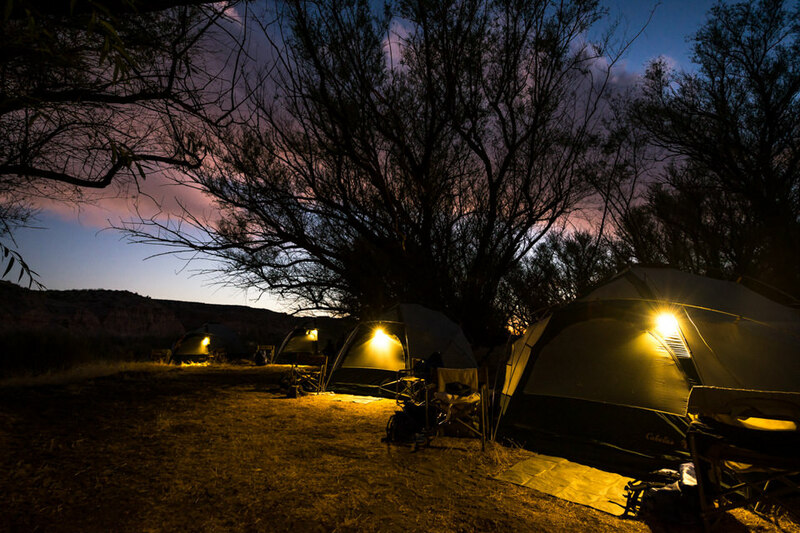 Each day, our assistants pack up, move, and reassemble the camp in a new location. 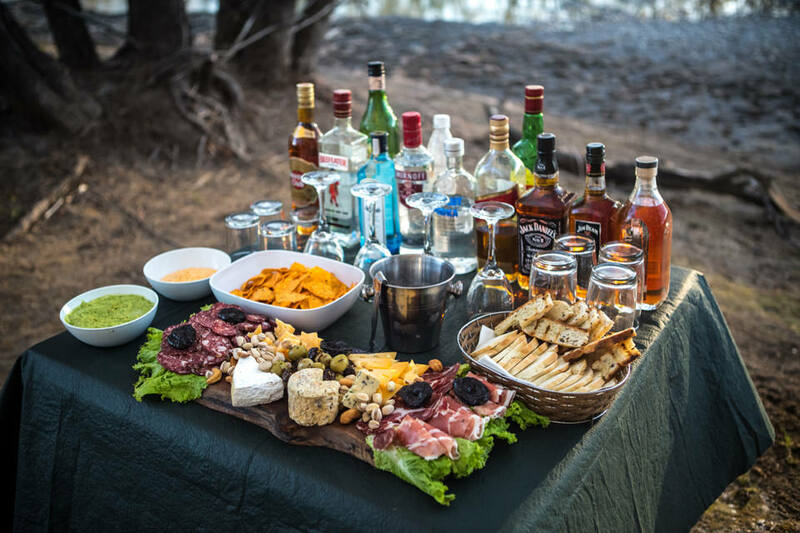 Everything is ready for clients’ arrival including: hot showers, crackling fire, snacks, and a full bar. 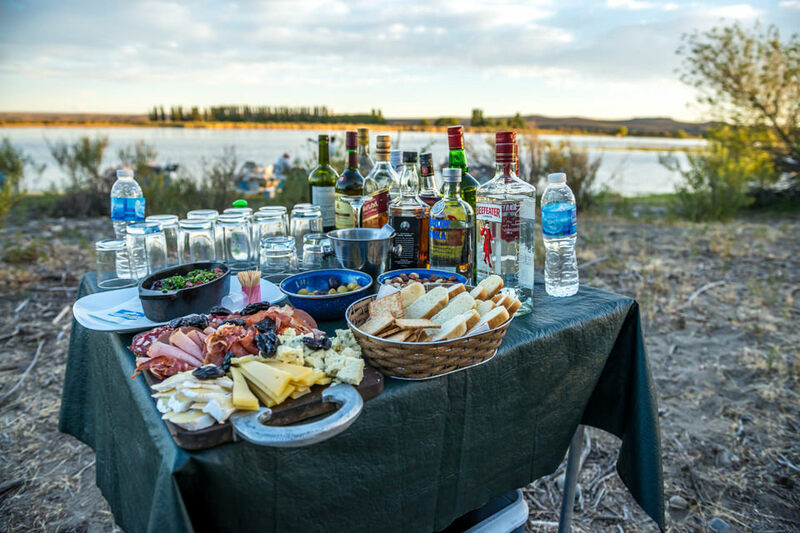 Fruit, cereals, and eggs to order are ready for breakfast before guests grab their rods and throw their first casts from our drift boats. 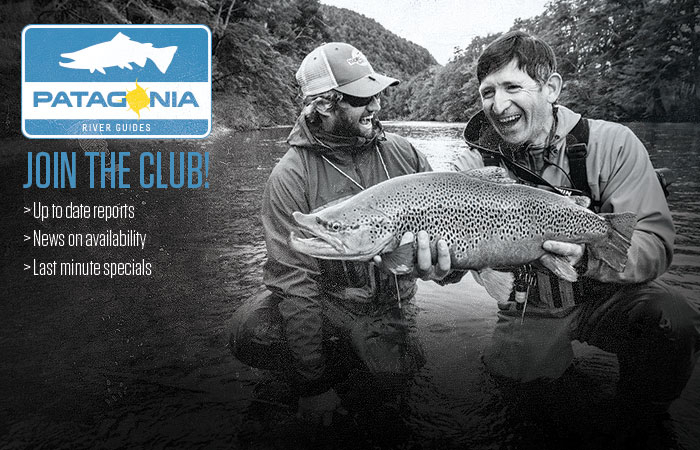 Contact us for more information and to set up a custom trip for a small group. 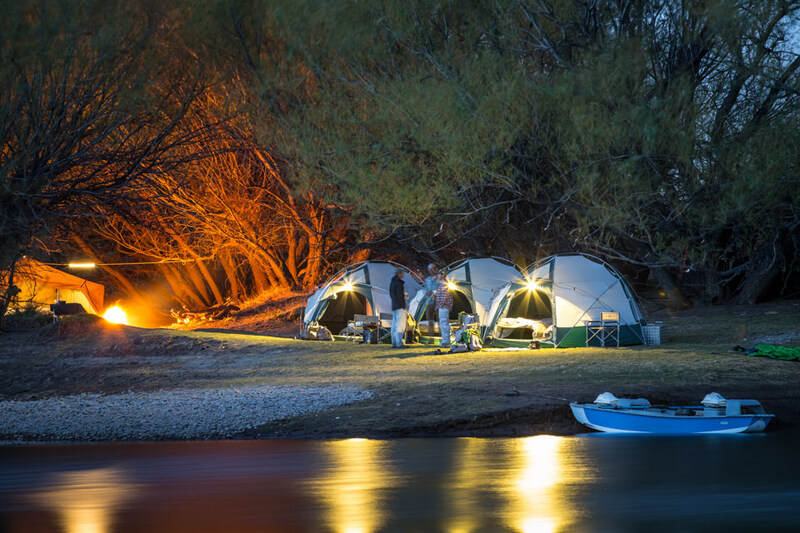 Minimum of (4) anglers required to share a private camp and a maximum of (8) allowed on our exclusive trips.